Every August, thousands of car enthusiasts make the pilgrimage to Monterey, California for Monterey Car Week. They come to the great cars of yesteryear alongside the modern marvels of automotive design. The URB-E team has been working tirelessly in Pasadena since the 2015 Monterey Car Week, and we felt like the team deserved a vacation. In which they would work, tirelessly. They still found the opportunity to have a blast, so read on to see about our experiences in Monterey, and why the URB-E fit right in alongside the Ferraris and Lamborghinis in Monterey. For the past 2 Monterey Car Weeks the URB-E team has entered a daunting environment. Surrounded by the greatest cars in the world and spectators who have come from all corners of the globe, standing out in Monterey is no easy task. People are overwhelmed with classic and brand new cars from McLaren, Porsche, and BMW at every turn. Yet, the URB-E was still able to turn heads. Below are some reasons why URB-E was a winner at the 2016 Monterey Car Week. While Monterey Car Week is most celebrated for its antique car options and auctions, it is also a popular platform for new car announcements. This includes concept car announcements from McLaren, Mercedes-Benz, and Cadillac. While people may have come to celebrate automotive history, they were also exposed to glimpses of the future. And it wasn't just Cadillac and Mercedes-Benz giving people an insight into the future of transportation. 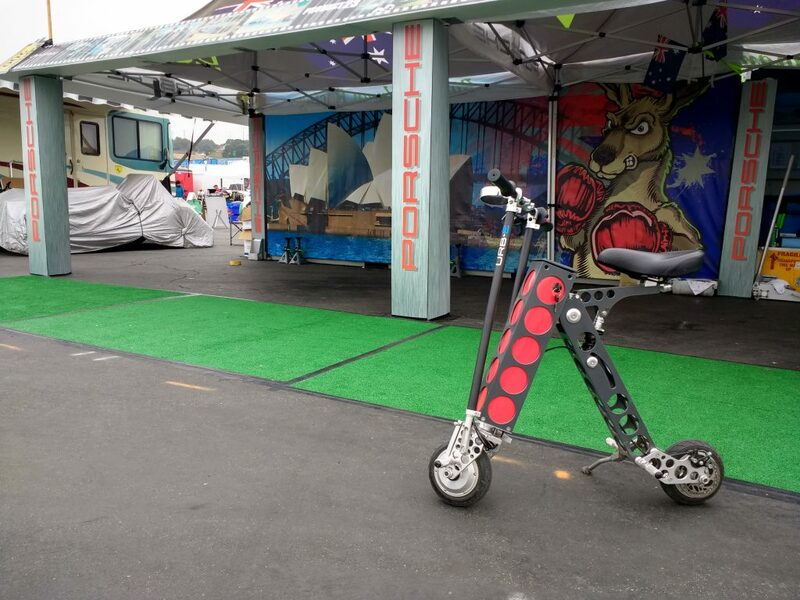 The URB-E team was on hand to show off the fully electric URB-E alongside these other vehicular pioneers. The future of urban transport requires consideration of emissions and congestion, and the URB-E was present in Monterey as a solution to both problems. In the racing world, time is literally money, in the sense that losing seconds can prove incredibly costly in a race. So for people who go to Monterey, there is an inherent interest in efficiency. Whether they need a car to take them quickly to their destination or have multiple phones to manage their work/life balance, auto-enthusiasts are always looking for speed to facilitate their lives. The URB-E also engages these people. The average human walking speed is about 3 miles per hour, and many people are resigned to walking short distances at that pace. 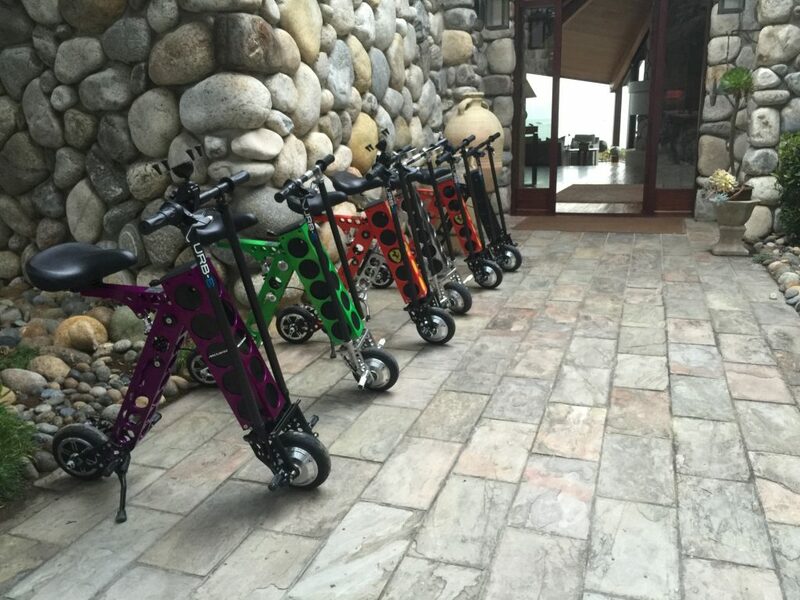 The URB-E has a top speed nearly 5 times the average person's pace. That means if you walk 1 mile each way to the subway for work or the grocery store, the URB-E will save you 16 minutes per trip. For people interested in speed and efficiency, the URB-E is an incredible resource. There are some ingredients that you only find in luxury vehicles. McLaren uses carbon fiber for their frames and the Tesla utilizes aluminum throughout its frame. And these cars tend to cost more than their competitors, largely due to their years of design and their premium parts. The URB-E team uses carbon fiber and aircraft-grade aluminum for the same reasons as luxury car companies: they make for a vehicle that is lighter, faster, and safer. The URB-E is designed by a former Lead Engineer at Porsche, who put the quality of build and parts at the forefront of his design effort. Whether someone is getting off the bus or pulling the URB-E out of their luxury car, there is no downgrade in quality when they unfold and continue their journey on an URB-E. 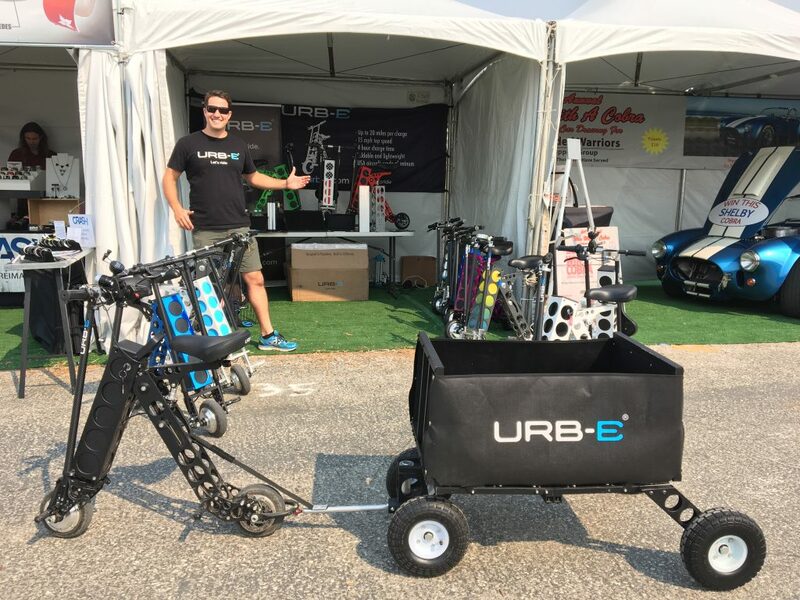 The URB-E team had a great time at Monterey, and is looking forward to showing off our last-mile solution at this year's Santa Monica AltCar Expo from September 16-17th! If you would like to har more about events we're participating in, you can give us a call 626-460-8113 or come visit our headquarters at 54 W Green Street in Pasadena for a preview of the future of transportation. We look forward to riding with you soon!